This is an interesting aside, because neither the protaganist Murphy nor the author had any autism diagnosis, but others have posthumously diagnosed both of them from afar. Michael Fitzgerald included Samuel Beckett in his book "Unstoppable Brilliance: Irish Geniuses and Asperger's Syndrome", whilst Ato Quayson makes a much more considered claim to autism in the character of Murphy in "Autism, Narrative, and Emotions: On Samuel Beckett's Murphy". From a personal perspective, the language of the book (Murphy didn't go out, he "receded a little way into the North") combines dry, autistic humour with precise observation - as perhaps does some of Harold Pinter's writing. Murphy's indecision over the order in which to eat assorted biscuits is both comic genius and a beautiful observation on the importance of order, routine and predictability in the autistic mind. We will probably never know if historical figures had autism, and some of the Aspie-spotting books create an exceptionalist, elitist link between autism and intellect that is false and harmful. 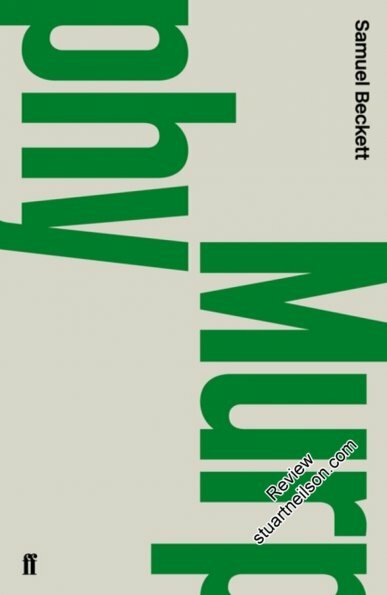 Murphy offers some good observations on the challenges of relationships, identity and rigid thinking, whatever Murphy's (or Samuel Beckett's location on the autism spectrum).